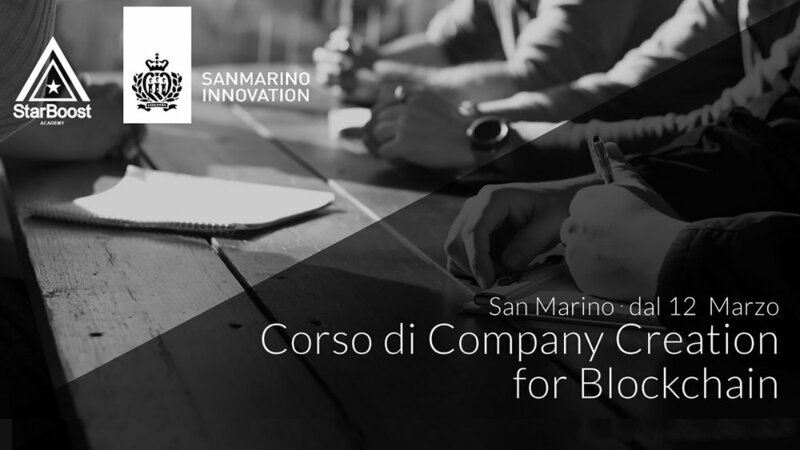 Turn your idea into a successful company, from scratch to constitution in 10 weeks, plus 2 lessons on the topic of Blockchain. You will learn to develop your entrepreneurial idea, to structure a solid team and to understand how to involve potential partners and collaborators, thus laying the foundations for the future development of your business. If you have an idea or are a talent, you can develop your business by following the innovative methodology of Company Creation developed by Starboost and based on cooperation. You have an idea in the drawer or you are creating one with your team, but you lack skills and capital? Are you good but often you do not come up valued enough and you would like to be part of a nice team of close-knit people? Are you looking for a new challenge that enhances your experience developed over the years and puts you back on the line? How to plan work to develop an entrepreneurial idea using a complete and innovative methodology. How to structure a solid team by immediately involving the right partners and talented employees. How to reduce the investments and the financial needs necessary to start increasing the company stability and the chances of success. Start-ups, WHY HOW WHAT, NDA, Pitch, Business Plan and Equity Plan, Team Creation, Partner Questions, The Market and Competitors, Design Basics, Value Proposition Canvas, Customer Discovery, Business Model, StarBoost Model Canvas, Marketing Plan , Elevator Pitch, Business Plan & Equity Plan, Planning and Governance, Values and Principles, Questions between Members, Membership Agreements, MVP, Get people on board, Brand Image, How to Communicate, PR and Communication Channels. Starting from a strong base of values we will help you face and support the process of creating a new business venture with the support of a solid legal infrastructure, work framework and exclusive documents.